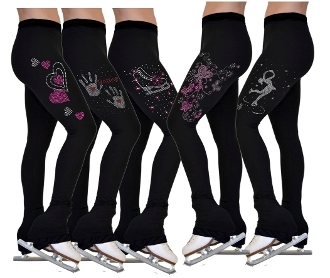 Stay warm during practice with the ChloeNoel P86 vintage print ice skating pants. Very soft and super comfortable next to the skin. Moisture wicking material and finish resists odor-causing bacteria. Choose from several styles in Child XSmall to Adult Large. Click on images to see design choices and sizing chart. Please allow 7-10 business days for delivey.